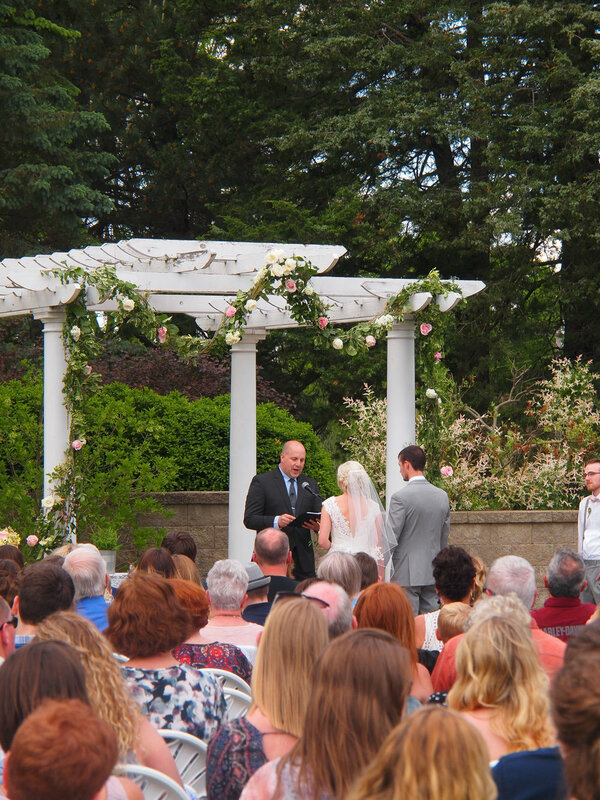 The Gardens of Castle Rock provides a beautiful setting for outdoor wedding ceremonies, receptions, and special events. Located in the lower south metro, The Gardens is a short distance from the Twin Cities. The Gardens welcomes all! Couples that are looking to express who they are and share with family and friends in an environment that is grounded in beauty, nature and design. Where personal expressions are manifested in the ability to create an event that is truly unique. An event that is an extension of your values and beliefs found in your relationship. Come join us! Embrace passion and celebrate love at The Gardens. To get started on your wedding, email The Gardens at info@thegardensofcastlerock.com or call 651-264-9510. WHAT’S YOUR DJ LISTENING TO? One of our preferred venues to perform at is Watson Block. They have a great ambiance for any type of venture and are sure to stun the guests at your next event. Watson Block was built in 1902 and has a rich presence within the Minneapolis’ Warehouse District. The structure has hosted many types of businesses over the years, with professions such as real estate, pharmaceutical, campaign headquarters, and a women’s union back in the 1940s previously calling this building their home. There is definitely a unique story to be told at this venue. The current set up makes for a luxurious and intimate venue setting with the brick walls and decor to follow. There is a lounge area to one side and a more open space on the opposite. This inviting atmosphere facilitates a magical feeling that blends the intimacy of a small get-together with the awe of a larger event all while fitting up to 150 people at a time. Whether it's a wedding, corporate event or social event this space is eye catching. 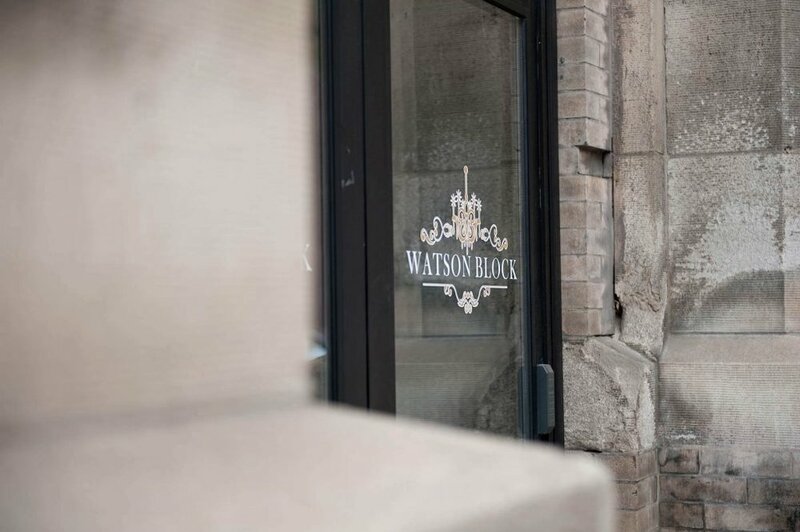 We are excited to partner with Watson Block. To view their website click here! 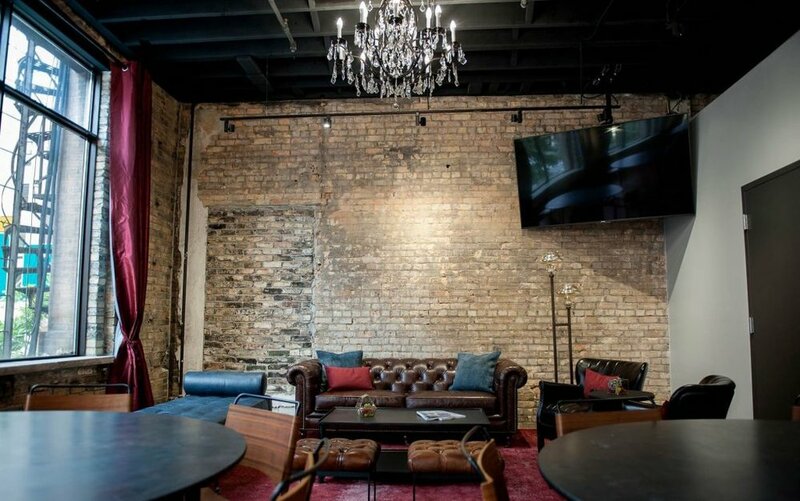 To inquire on availability and rates email Sarah at info@watsonblock.com or call at 612-300-9525. Tell her GenNOW sent ya. We can’t believe all the fun we had at the Schwan’s USA Cup a couple weekends back! Teams from around the world come together at the Schwan’s USA Cup International Youth Soccer Tournament each year. It’s one of the biggest soccer tournaments in the world and we were lucky to be able to perform at it. In total there were 150,00 people at Opening Ceremony. There were 1150 teams from 20 different countries and 20 states. This was the most diverse year yet. Some of the new countries to the tournament this year were Belgium, Trinidad, and Tobago.This was our fourth year providing the entertainment for the athletes and fans. Definitely the best year yet and if we do say ourselves! Our GenerationNOW lineup consisted of Anthony Kasper (Kasper) and Tyler Thoresen (DJ Crozzworkz) on the turntables. Our MC was Munya Tirivepi (Tonez). The fantastic breakdancers were Fanaka, Daniel & Lindsay. Eklipse Productions provided the LED Video wall and a big shout out to Flow Events for the amazing recap video. We believe music is truly a uniting force and loved spreading the tunes to so many people from so many different backgrounds! The relationships we’ve made with the hosts, athletes, and fans have been so heartwarming. Check out the video below for a recap of all the fun we had. The 2018 WNBA All-Star Game takes place this Saturday in Minneapolis. This will be the first time that this event has ever been hosted in Minnesota. Watch out Target Center, these athletes are coming! This monumental event has changed it’s format and will now showcase 22 athletes chosen by fans, other WNBA players and coaches, as well as the media. Voting ended on July 12th and the teams feature the very best names in women's basketball. The Minnesota Lynx have won three championships and five finals series over the last six seasons. Hometown heroes Maya Moore, Seimone Augustus, Rebekkah Brunson and Sylvia Fowles will represent the Lynx at the WNBA All-Star Game. 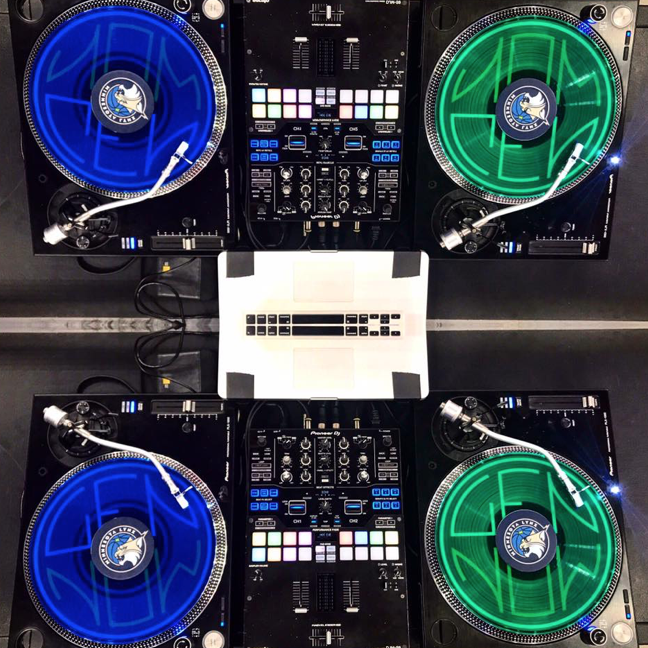 We are so amped to also announce that GenerationNOW’s very own DJ Mad Mardigan (Official DJ for the MN Lynx) and DJ Dudley D (Music Director) will be there to get and keep the audience going all game long. Katie Andres & Jason Hudoba will also have a hand in the event and be in the arena as live hosts. The DJ is a very important part of any big get-together, party or nightclub experience. They are there to make the night more exciting for you. Some people can go a bit too far by doing things to annoy their DJ. This would include going into their booth to simply pester them, or even encouraging them to play their favorite song in a room full of people that may not want to hear that song. These can definitely ruin the night of the DJ and your friends, so it’s good to avoid them at all costs. So yes, DJ’s have their pet peeves, just like many people at work. And sure, you have a song in mind that you’re certain would get everyone dancing… but it’s important to avoid going up there to make an outlandish request. 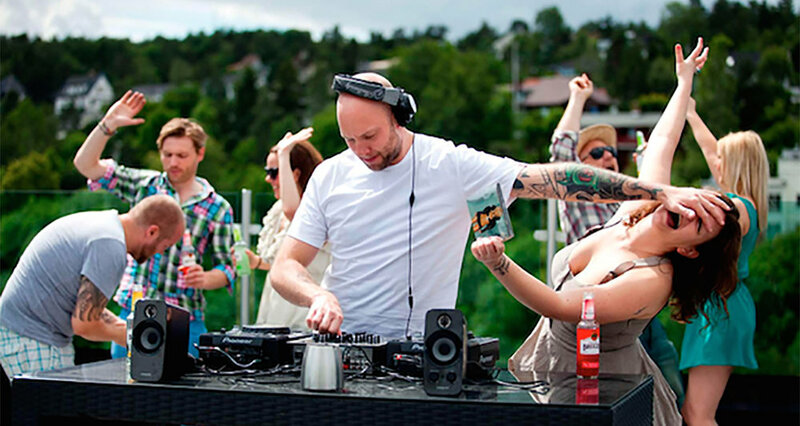 Ask any DJ what they dislike most about their job, it’s probably the ridiculous requests. They are random or uncalled for. The DJ is there to take you on a ride and he/she definitely does not want anyone else to take control of the vibe. Just imagine someone walking into where you work and what your reaction would be if they started telling you how to do your job - not a good approach. Going along with the requests, many DJs really don’t like when people say things like “put on something we can actually dance to” or “play better music” or anything related to that. First, the DJ would never follow through with the request, but it can also put the DJ in the wrong mindset which is definitely not good in their work environment. In the end, DJs loathe these types of requests and they should not be made. Lastly, DJs also don’t like when people come up into their booth and start invading their space. They also would prefer if people didn’t store their jackets, purses, etc in there while they danced. People often bring drinks in and spill it on the equipment causing a lot of technical damage. The booth is where the DJ wants to work free from distraction, and going in there drunk and acting like you know the DJ is a great way to get thrown out. Also, don’t get the bar and DJ booth mixed up. It happens, but if the DJ asks you to leave, it would be a good idea to do so. An example of exactly what not to do can be found here. At the end of the day, going to a club or party with a DJ means having fun! The DJ is there to make sure you have a good time as long as you comply with his/her boundaries. As long as everyone respects that, you, your friends, and the DJ can have a great time. Who’s ready to get up on their feet and cheer for our Minnesota Lynx? The Lynx Home Opener is this Sunday, May 20th at Target Center against the Los Angeles Sparks! They will be on the prowl all summer for their 5th Title in team history! Speaking of celebrating basketball, the Lynx are celebrating this upcoming season by unveiling their new marketing campaign for the year. “GET UP” will be the new … for the season. The “GET UP” campaign really showcases not resting and getting on the floor to win, lifting fans out of their seats, and igniting a fire within the fans. It showcases the Lynx community truly coming together and chasing after their next title. We also have some MORE EXCITING NEWS… The Minnesota Lynx will be hosting the Verizon WNBA All-Star 2018 game! The Lynx have appeared in five of the last six seasons WNBA Finals and this will be the first time the event will be held in the Twin Cities! Exciting things are happening in Minneapolis and we’re proud to be a part of them! Worldwide, Love Your Melon Crews were able to visit over 200 hospitals, host 150 adventures and events with various nonprofit partners, deliver 10,650 beanies, and connect with a record amount of children on Superhero Day. Last Thursday was Superhero Day at the University of Minnesota, Masonic Children’s Hospital. Love Your Melon puts on this event as a way to commemorate the tremendous courage that young kids battling cancer and other diseases go through. The goal of this event is to make every child in the hospital feel like a superhero. These children are so strong and go through some very tough treatments. Like the superheroes and characters they idolize, they face these every day battles with incredible bravery. Children watched a live performance and joined in on a meet and greet with their favorite Marvel superheroes like as Spiderman and Black Panther. Families at the hospital did some arts and crafts, picked out beanies, and even practiced their own superhero skills. GenerationNow was more than happy to provide the music for the local event. We had so much fun keeping spirits up for the families, children, LYM crew members, and hospital staff involved. Here is Kasper from the GenNOW team with Emma. Emma is battling neuroblastoma with so much strength, and she was full of smiles as she enjoyed the superhero party. In this picture, she very is very politely requesting Bruno Mars before scootin’ around some more. It was a pure delight to be a part of this empowering event. Thanks so much to Love Your Melon for including us and we were so glad we could be a part of it! Despite the weather, wedding season is here! The GenerationNOW wedding experience combines sophistication and innovation with energy. Here at GenerationNOW, every DJ has been in the professional field for 5 years or more and each has perfected their own style of DJing. 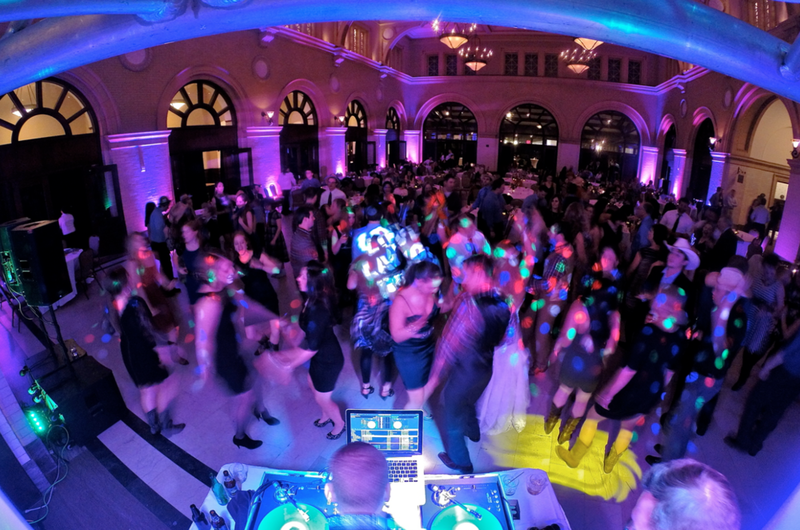 Our innate ability to select and mix songs that fit the right vibe of your wedding party is what will make it uniquely yours. Everyone has been at a wedding where the DJ can’t seem to figure out how to get the crowd of their chairs. 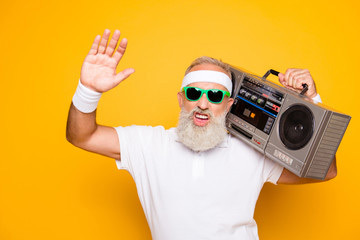 The right song selection is extremely important for getting everybody moving and grooving. Because our DJs have played in front of every scenario possible they have what we like to call a GenNOW sixth sense of what the crowd wants to hear. We play the music that the crowd wants and needs to celebrate to the fullest. Every GenerationNOW DJ hones the skill of seamlessly blending one song into the next, no matter the genre. This mixing of the tunes makes it seem like the music may never end. If done correctly, it also builds anticipation for the next track to drop into sequence. If done incorrectly it makes for an uneasy, un-danceable, and empty dance floor. If this sounds familiar in your past experiences, fear not, we know exactly how to keep mixing for the entirety of the night. These two factors may seem small, but they truly do make an enormous difference when it comes to your big day! 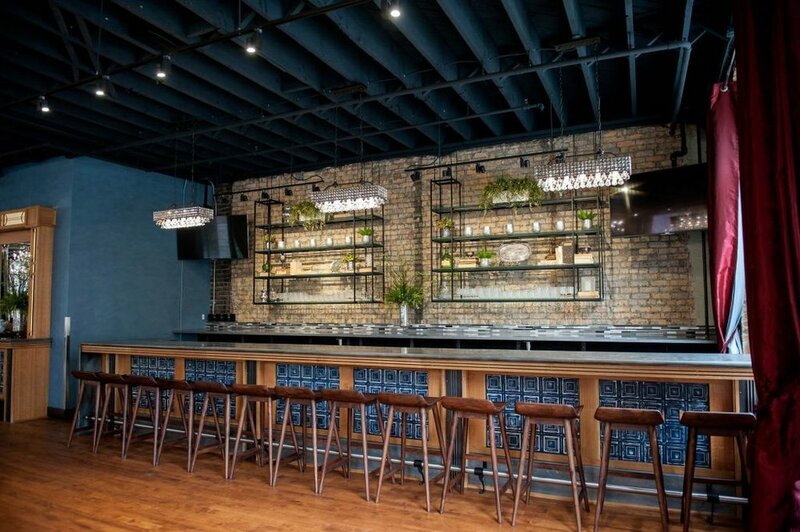 Over the years we have made a name for ourselves and have been lucky enough to partner with some of the best event planners and venues throughout the Twin Cities in Minnesota and western Wisconsin. ● Click here to see the respective event planner’s websites and contact information. ● Click here to see the respective venue’s websites and contact information. So what really sets us apart when it comes to weddings? ● We are a group of professionals who are energetic, charming, unique, and creative in our approach to all the events we work. ● We believe in quality performances backed up by the utmost experience so we are able to create memories that are uniquely centered on the bride and groom. 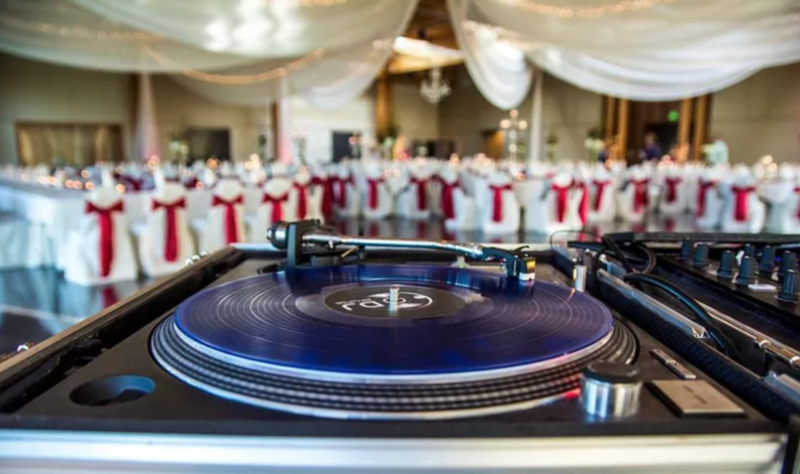 ● We supply a live turntable DJ, which differs from most other wedding service DJs. We also allow you access on a one-to-one level with your specific DJ. Whenever you have a question we give you access to them right away. Most other companies won’t let you meet with your DJ (or they charge extra). They typically reach out 2 weeks before your wedding. That’s scary! We have been a proud recipient of the Knot’s “Best of” weddings award for the past 6 years and are now Hall-of-Famers on their wedding planning site. Our rates do vary depending on the date, availability, equipment desired, and travel. As a team, we have performed at over 700 weddings throughout the Midwest and would love to be present at yours. We still have some dates available in 2018, so contact us today for availability and a quote. Mention this Facebook post to receive $200 off your wedding package quote when inquiring.Fill out a contact form here! We look forward to hearing from you. Super Bowl 2018 was completely nuts! Minnesotans, as well as football fans from all over the nation, showed up and watched the greatest Super Bowl yet, making for one of the most incredible experiences in our state’s history. We were completely floored when we got the opportunity to be part of this monumental event. We were so lucky to have had a part in many areas of it including: the orientation of the the Crew 52 volunteers, the 10 day Super Bowl Live concert series presented by Verizon, the Polar Plunge for Special Olympics Minnesota and we even performed inside U.S. Bank Stadium during the Super Bowl! What is Minnesota in the winter without snow? We had so much fun whether it was snowing or not. 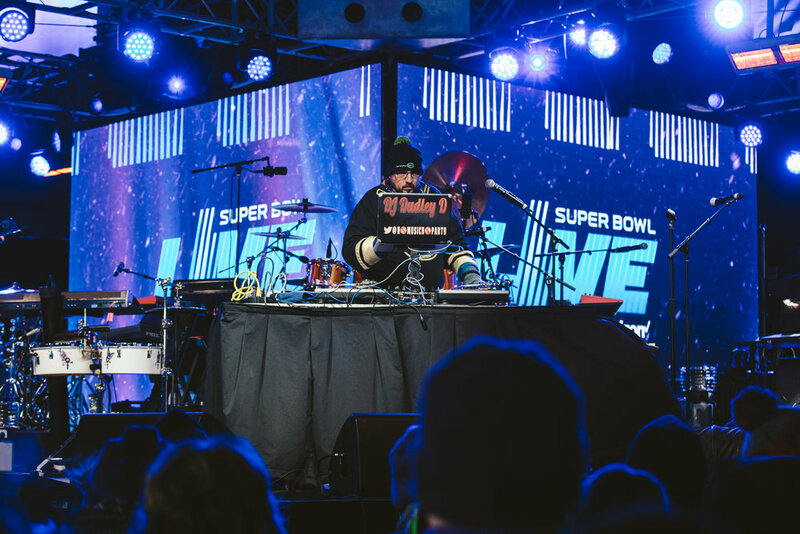 Our GenNOW squad supplied tunes throughout the 10 days leading up to the actual SuperBowl and kept everyone who attended in high spirits and pumped up. Shout out to MC TONEZ, DJ Mad Mardigan, DJ Matty Matt, DJ Dudley D, Katie Andres and Jon Berry for putting on a show for all 10 days. We had a blast playing country, classic rock, hip hop, reggae, pop and funk jams throughout the entirety of the weeks events! So much love goes out to our entire crew and of the artists and bands that performed as well. Shout out to Hitchville, Idina Menzel, VocalEssence, Esera, Tuaolo, Trailer Trash, Cynthia Johnson with Flat Tyme, Lost Highway, Chris Hawkey Band, Beats and Rhymes, Lexii Alijai, iLLism, Dem Atlas, Brother Ali, PROF, Sara Renner and the Elements, Bailey Bryan, DJ Kimuel Hailey, The Steeler, Twin Cities Community Gospel Choir, The Sounds of Blackness with Big Jim Wright and Ann Nesby, Sheila E., Morris Day and the Time, The Revolution, Drum Down the Sun, Les Stroud, Jakubi, Socaholix, International Reggae All Stars, Ipso Facto, Stokley Williams, Dessa, Mint Condition, New Power Generation with Special Guests: Andre Cymone, Kip Blackshire, and Mackenzie Green, fDeluxe, New Power Soul, DJ Howard “HK” Kessler, Kris Wu, Bob Mould, Andre Cymone: 1969 Live Music Experience, Rae Sremmurd, ZuluZuluu, Cobi, The Jets, KING, Skylar Grey, The Suburbs, The Jayhawks, Soul Asylum, X Ambassadors, 13 Crowns and more! It’s been a little over a month since the big game happened and we are still coming down from all the fun we had. The memories we made will last a lifetime and we are so honored to have been a large part of it this year. Thanks again to everyone who came out, watched, and participated in Super Bowl LII! An extra special thank you goes to the Super Bowl 52 Host Committee for this amazing opportunity you gave us! To see more about our part in Super Bowl LII Check out our recap video on Facebook here!